Don't let your beloved pet freeze his paws again this winter season. 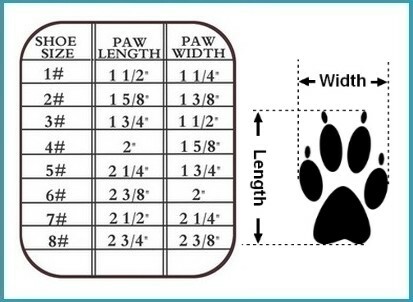 These waterproof dog boots are great for keeping warm and dry in the rain or snow, during hiking, or for any dog that requires style and comfort in their winter dog shoe. 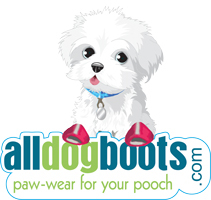 Keep your pooch's feet cozy with these chic blue waterproof winter boots made only for the fashion conscious dog. The boots were of good quality, but unfortunately they were about 6 sizes too small! Gave them to my daughter and she loved them. True to description. Quality boots and very nice. They fit my dog perfectly. I got these boots for my Yorkie after reading all the reviews - I live in Northern Canada where the weather can drop down to -40C. I had bought other boots before and they didn't work, either falling off or not keeping him warm. I love these because they have the hard sole so his feet don't get that cold. They stay on fairly well once you get the swing of how to get them on - they are time consuming to put on properly as well (The ones that stay on always are anyways.) My guy stands still and knows that the boots will keep him warm - Definitely true to size as well. I was hesistant because they are a bit pricey for a "fashion" style boot, but they are totally worth the price.